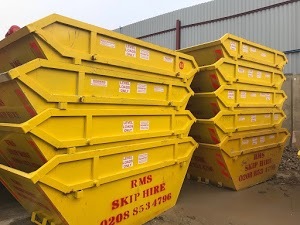 RMS Skip Hire is a leading provider of waste management and skip hire services in Greenwich. We pride ourselves on having a strong reputation for providing one of the fastest skip hire solutions in Greenwich. Our strength lies in understanding the requirements of our clients, which makes it easier for us to offer the kind of skip hire and waste management solutions they want. What makes us unique is our unending desire to maintain complete transparency while dealing with our clients. Our staunch commitment to maintaining constant communication with our clients helps us in staying ahead of the game. We offer a host of services to cater the needs of residential, commercial and industrial projects. So whether you are an individual or a business, if you need quality skips, we have got you covered. We are the most affordable skip hire and waste management company in Greenwich. Our experienced team of skip hire and waste management experts try to make the skip hire process as simple and convenient. We make every possible effort to save your time and money. Our online skip hire service and competitively priced skips are its perfect examples. We also arrange, skip hire permits for those clients who do not have sufficient private land to station their skips once they are delivered. Our team is always ready to address all your queries about skip hire and waste management. We deeply believe that it’s our responsibility to make it easier for you to eliminate the waste that is generated from your home or job sites, by offering reliable skip hire and waste management solutions. The best Price from all Local Companies that quoted. The service up front was Great and the Skip was delivered and collected on time. Can't ask for much more really, I would recommend RMS Skips. unprofessional company, took the paid skip without informing me and the skip was still empty and they left the rubbish on the drive, damaged the driveway and the fence. Don't recommend them to anyone please! Irresponsible company, took our skip without warning while we were not at home. Rubbish left on the drive way while skip is empty. Great service everytime. Friendly helpful people. great price. They’re not lying when they say they are reliable! Top skip firm & much more! Michael in the office has his finger on the pulse. We’ve dealt with them for a next day collection and wait & load on a job in Bromley, both arrived exactly on time and for a brilliant price. We organised over 30m3 of ready mix concretre including a pump with a 70m run, top service again and cheaper than anyone else, AGAIN. I’m just gutted we won’t be able to use them in our local area! If we’re ever working in their catchment area, there’s nobody else we’d use!